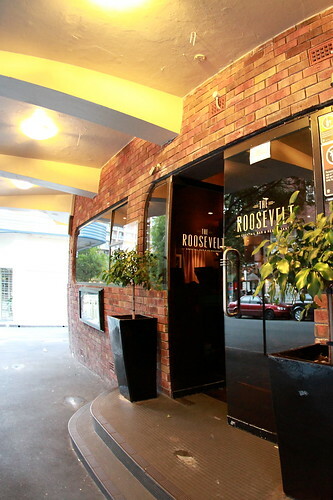 The Roosevelt transports you to a place where there’s sense of cheekiness and a touch of ol’ school Hollywood glamour. 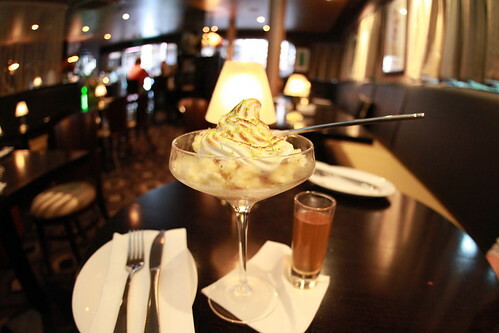 The revamped 1940s bar and diner is nestled in one of the small streets of Potts Point, where the iconic nightclub was a stop-by must for the elite. 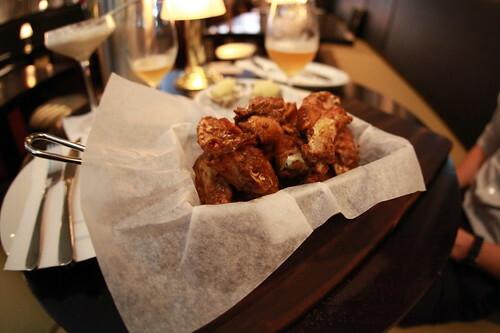 Now, it’s back to The Roosevelt’s old roots with an influence of upscale American diner and love for alcohol. Cocktails are their game, and they play it well. The cocktail menu is impressive with something to tickle everyone’s fancy; it extends from the classics, nitrogen delights to alcoholic ice bombshells. My choice of poison for the night is the classic Nitro Colada; fresh pineapples and coconut cream whipped into a house-made Pina Colada sorbet from liquid nitrogen. The meringue is blow-torched at our table as a coconut infused rum is poured in. 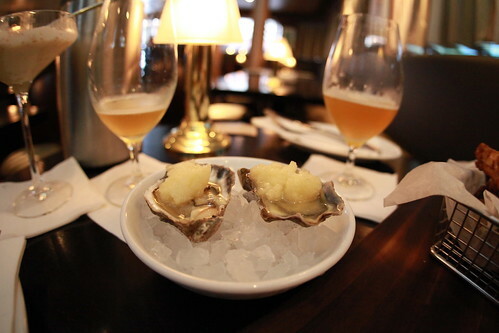 We dive into some freshly shucked oysters with a margarita sorbet; the cold sorbet brings a wam bam thank you m’am hit with a sour spine tingling experience with a burst of salt and lime to complement the oysters. 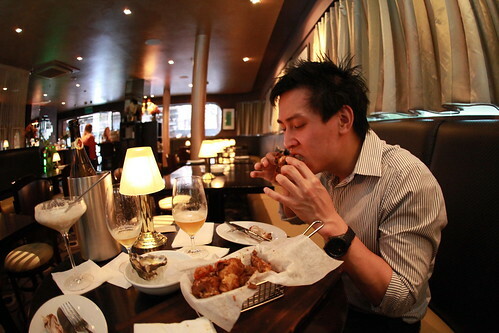 Personally I prefer oysters simple and fresh, but this twist definitely introduces the taste buds to what’s to come. 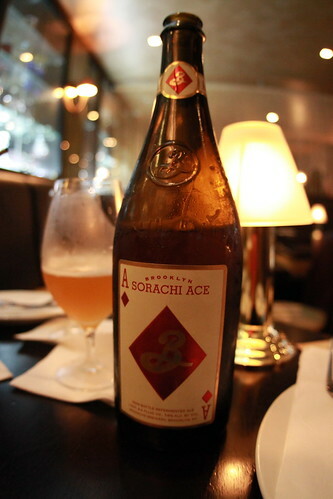 Our night turns into an unexpected “Date with a Steak”, choosing the mid-week special of a 450g Wagyu steak to share for two and a whopping long neck Sorachi Ace beer to wash it all down. 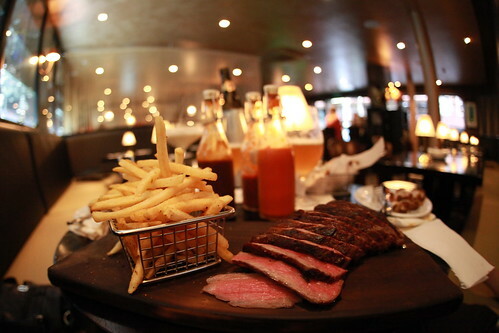 Served perfectly sliced across a wooden board, the steak is accompanied by a basket of skinny fries and a trio of sauces; Missouri BBQ, Chipotle Ranch & Red Pepper Ketchup. 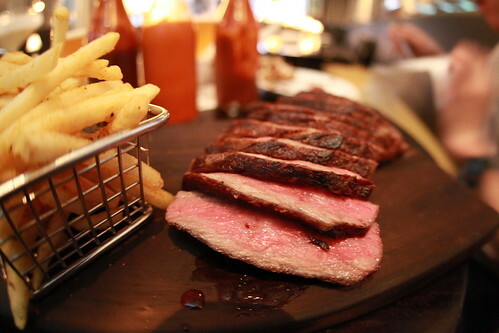 One little mistake is serving the steak on a wooden board as it became a little bit of a messy affair, although in all fairness, the steak was cooked a perfect medium. 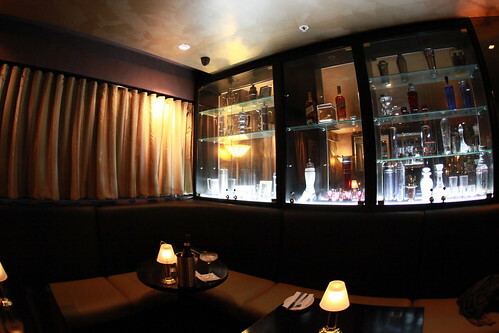 The Roosevelt feels like you’re falling back into the time of prohibition but with a dash of molecular gastronomy magic.